In this tour of the solar system, readers can ride into the night on the bridle of Pegasus, stir up boiling volcanoes on Venus, and even swim across Jupiter's gigantic seas. They will also learn all kinds of facts about the solar system and the mysteries of the night sky. With its unique blend of adventure, science and mythology and inspiring illustrations, "Star Seeker" is sure to spark everyone's imagination! With an easy rhyming style and accessible endnotes on astronomy this book is ideal for children of all ages who are fascinated by the night sky. 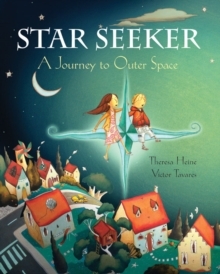 This book is suitable for National Curriculum study of the solar system, KS1 & 2. It is released to mark The International Year of Astronomy.